Customized Plans. Individual Results. Real Savings. Starting or maintaining a successful exercise habit can be difficult, and many people overlook the role that activewear can have in that success. Choosing the right pair of shoes is one of the most important aspects of a successful and enjoyable exercise routine. When choosing a shoe, it’s important to match the shoe to the type of exercise you will be doing. 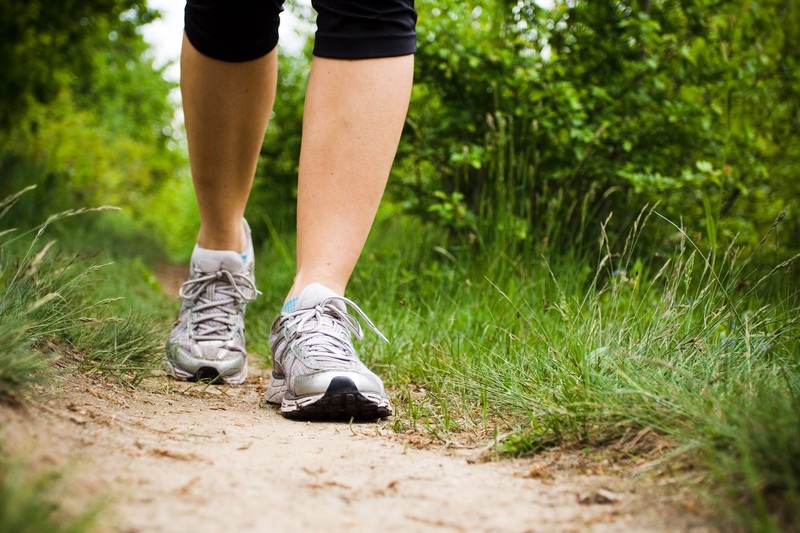 Joint and foot pain, or even injury, can sometimes arise from exercising in the wrong type of shoes. Before you buy new shoes, consider what type of exercise you’ll be doing, your foot motion, and how to choose the best size. Walking shoes tend to be a bit stiffer but designed for overall comfort. Running shoes are made for a heel to toe motion. Cross training shoes support side to side motion. Finally, hiking shoes are sturdier and reinforced for weather and rough or uneven terrain. If you plan to use the shoes for multiple activities, choose a cross training shoe. Wear on the top inner edge - likely means you roll your feet inward and have low or flat arches. Look for shoes with high stability and support that will keep your feet aligned with your legs. Wear on top outer edge - means you likely roll outward and tend to have high arches. You need a shoe that offers cushion to help absorb shock. Evenly worn - you most likely have a neutral foot and equal distribution of weight across your foot. Look for a shoe that offers moderate stability and balance in cushioning and support. The size of our feet changes throughout adulthood for many reasons. We recommend measuring your feet at least once a year. For women, it's important to measure your feet after each pregnancy. Looser joints, coupled with extra body weight,can cause changes in the feet. If you’re new to exercise, shop at a running store. The staff are expertly trained to identify your foot motion, they will ask you questions about the type of exercise you do, and they’ll be able to show you a variety of options that fit with your answers to those questions. Don’t feel intimidated that you need to be a runner to shop in these stores – the staff work with every level, shape, size, and age of customer and they are your best resource for success. Shop at the end of the day when your feet tend to be the biggest. Try on shoes with the socks you use when you are active. For a proper fit, allow a finger’s width of space between the longest toe and end of the shoe. Your feet swell when you workout, so this will allow room for that without getting blisters. To get the best deals, shop in January and April. These months offer the best deals/sales on athletic shoes. Stores take advantage of our New Year’s resolutions in January and our restlessness from winter in April. Look for in-store coupons, shop at outlets, and search for deals online once you know the type of shoe you need. For a deeper discount, buy last year’s model. They can be$50-$70 less expensive. It's important to know when to retire your athletic shoes. Replace them when your shoe tread is worn down, usually 350-500 miles or 6-12 months, depending on how often you wear them. If the shoes worked well for you, it’s standard practice to replace them with the exact same pair. With the proper gear, exercise can be enjoyable and life-long. There is saying in the equestrian world: “no foot, no horse.” This holds true for humans as well –if you take care of your feet, they will take your body far.